Chandan Kumar Mandal is a journalist from southern Nepal. 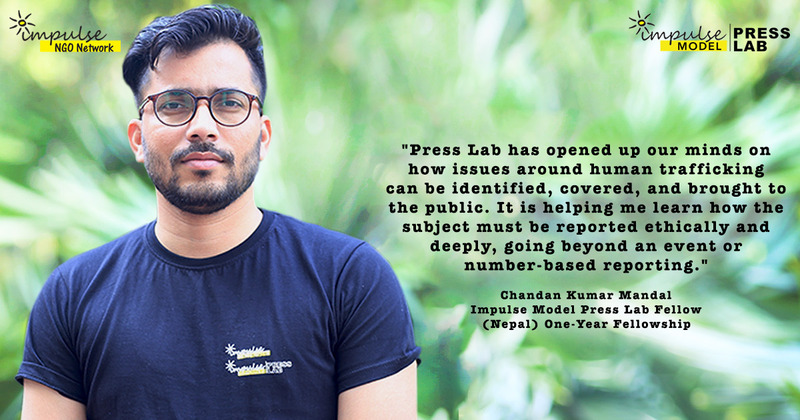 He began his career in journalism as an intern with the Nepal Forum of Environmental Journalists (NEFEJ), reporting for NEFEJ’s video magazine, Aakhijhyal. He has worked with the English Daily tabloid, the New Paper, NEFEJ and The Kathmandu Post, covering a range of issues around the environment and migration, including climate change, natural resources, forced labour and exploitation. In 2016, Mandal received a Post Graduate Diploma in Print Journalism from India’s premier journalism school, the Asian College of Journalism in Chennai. As a journalist, he believes in doing in-depth, impactful reporting addressing critical social issues.